TF 3 and TF90 foams are natural protein based and are low toxicity. 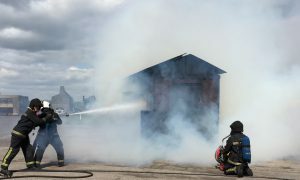 They enable fire services to train with fire fighting foam where front-line fluorosurfactant based foams are restricted to use in emergencies by European environmental regulators including the UK’s Environment Agency. TF is a natural protein based product which mimics the performance of Angus FP foam.